This is a set of four photographs of my grandparents. They were a huge influence in my life and I’m extremely proud of them and my Black Country heritage. I would like to think they played a part in who I am today and like I think it’s important to pass it on to my kids. You could never call her Olive. She didn’t like Olive at all. Everyone called her Jean. She was born in Woodsetton in 1922. 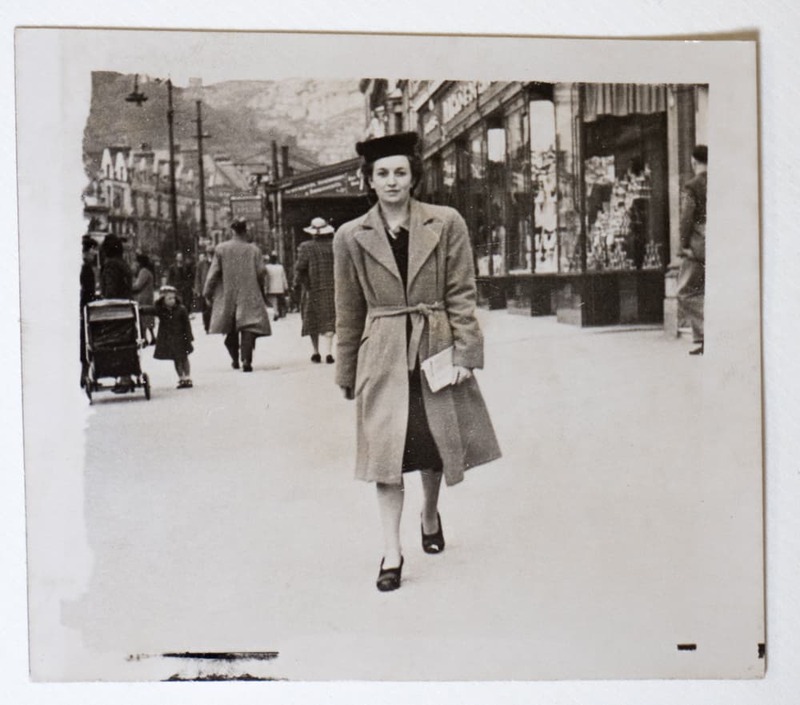 This one we think was taken in Wolverhampton, and I would guess she about 20 here. She was a lovely lady, absolutely lovely, she was very elegant, a beautiful woman. Very house proud, her and my granddad adored each other. 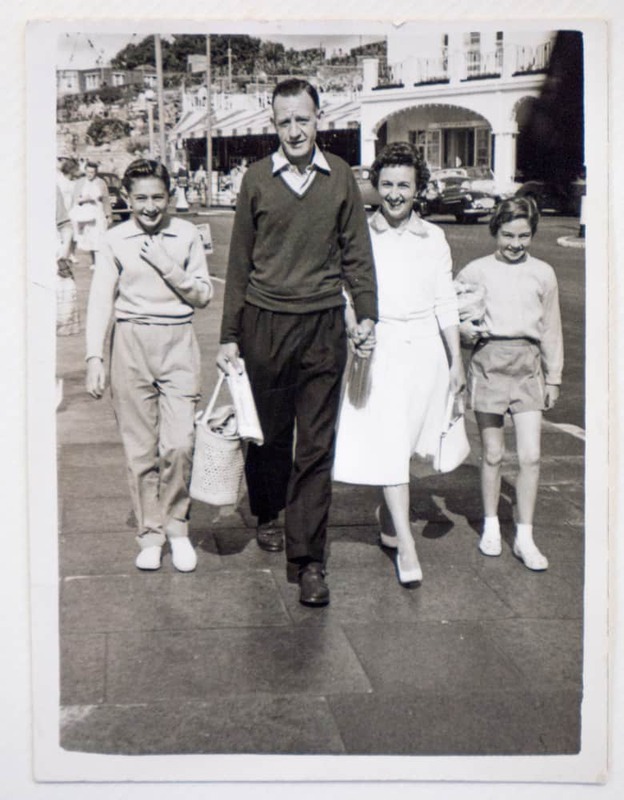 This one was probably taken in the 1950s, and they are on holiday at Torquay. On the right is my mom, next to my nan, and my uncle David, my mums brother, he is stood next to my grandad. They always used to look very smart, they are on holiday but they all look very smart. This one is probably early 50s, my mom is about 10 here. This was taken abroad, probably Malta or Tenerife. I am guessing about 1970’s because that’s when they start going abroad. The man of the left is my grandad Charlie Dunlop, he was Henry Charles but no-one knew him as Henry, he was always called Charlie. This when he was in the RAF in WWII. He is probably early to mid-twenties in this photo, because he was born in 1918. My Grandad was very handsome. He was born in a place called Hollywood in place called Banger in County Down in Northern Ireland. 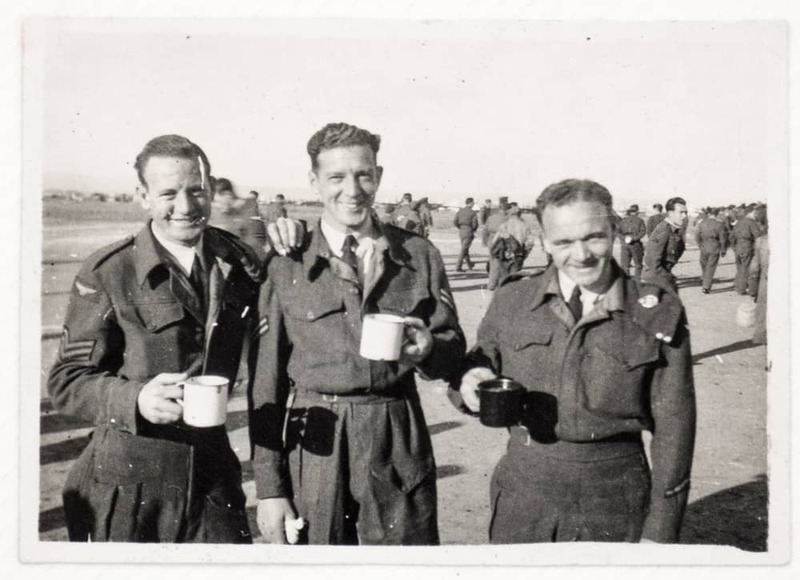 He came here because he was in the RAF, he was from a protestant family and he joined up. We think he was based at RAF Cosford, just outside Wolverhampton. That’s possibly how he met my Nan as she was in the WAAF (Women’s Auxiliary Air Force). They got married in 1945 just after the war. He wasn’t demobbed yet, and my Nan well, she hadn’t been demobbed yet either. 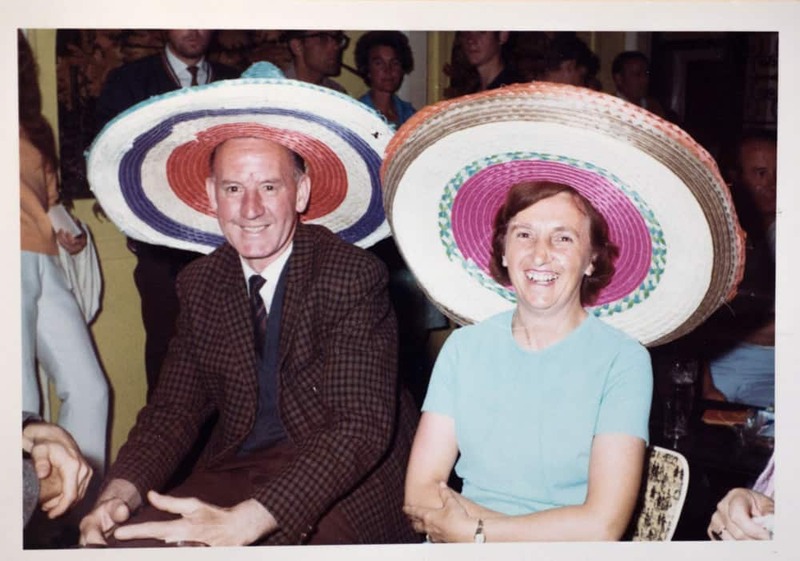 My nan and grandad were both from very different backgrounds, unusually my nan always worked. 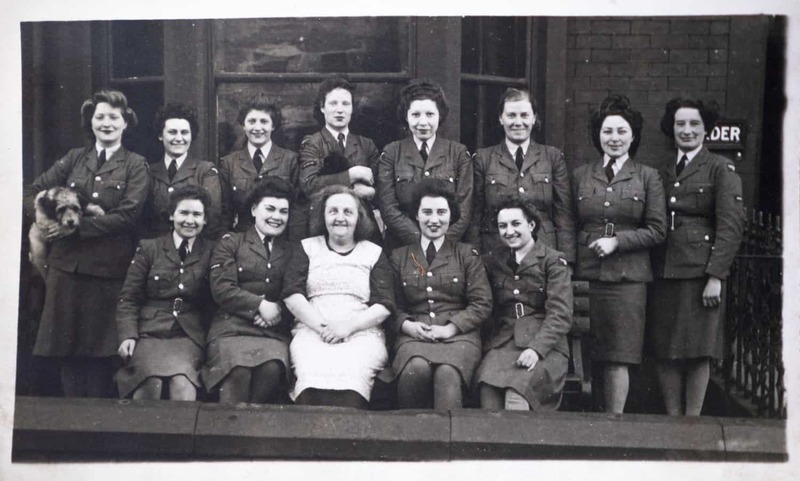 She was a secretary before the war, before she joined the WAAF. She was a typist in the typing pool in Birmingham at Lucas’s in Birmingham. They used to do everything together. When they both retired they had their bus pass and train pass and they would go everywhere – they used to go Coventry on the train just to get out the house. Grandad was from a protestant family and they got married on a Sunday, his family thought my nan was a catholic so his family disowned him. He was still very close to his sisters, he used to see them quite regularly.